I’ll admit, SEO is one of those aspects of digital marketing which many small businesses want to get right all the time but can actually be tricky. 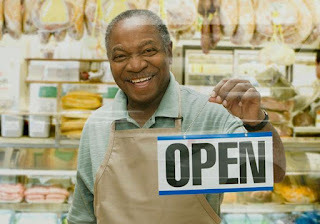 As much as you want to promote your business to the best of your ability, there are those moments you still need help. Simply put, SEO is Search Engine Optimisation. It involves using strategies to increase the online visibility of your brand or business among your target audience or customer. In other words, when a buyer who is interested in purchasing a new mobile phone goes online to Google or Bing or any other search sites to research what brand of phone meets his needs, to see the features of phones he would prefer and to find out which sellers have the best price, the ability to have your business listed among the search results he gets is what is referred to as Search Engine Optimisation. I.e, Getting your business out there for people to reach you. However, SEO isn’t that easy. There are many things to consider such as Your target audience, their location, and most importantly, identifying the stage a customer is in his or her buyer journey. 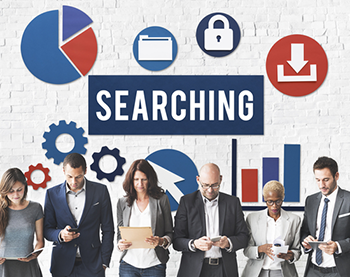 These factors would help you create a good SEO strategy that would help convert these online searchers to customers. 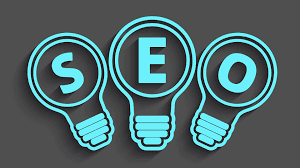 We will explain these stages in this piece and go down to explaining how you can implement a good SEO strategy for your small business in another article. It is very important to understand the composition of your target customer before creating an SEO strategy. Targeting is key to a successful SEO strategy. If you are a wedding photographer, for instance, you know who your target audience is and you can begin to list the locations you intend to cover. This helps you decide what type of content to create and the specific interests or general preferences of people in that area. Let me state here that SEO does not stand alone. You need to use content to drive SEO. They are inseparable. This one is quite tricky. How do you even know the stage the buyer is on their journey to purchase a product or service? Well, the good thing is you don’t have to. What you must know, however, is the stages involved in making a purchase and creating content that meets the needs of all the customers in each stage. You can also identify the stages through research and surveys including website data. SEO does not stand alone. You need content to implement it and content creation takes effort, time and requires resources. It is with content you can sell your products or services, tell people about your business and communicate to them the information they need throughout their buyer journey in order to make a purchase. This is why some marketers refer to it as, king. Awareness: At this stage, a customer is digging for information that would help him make the right purchase decision. The customer may or may not know what he wants. For the customer who already knows what he wants, his search would be more precise, for instance, latest Nokia phones. But for the customer who knows not the type of phone he wants, he would search for things like modern or latest smartphones. Such searches aren’t specific and to feed their curiosity and help them decide, at this stage, content should be aimed at educating and informing. Content should have keywords that contain search terms to ensure your business gets listed among search results. (More on keywords in the next article). At this stage, a customer is well informed about what he needs or should buy and is now considering a few options. Here, he may be looking up brands, product features, product reviews, product performance, etc in order to make a purchase. Decision time is the moment a customer actually chooses a product to go for. Here, content must answer his questions and convince him that this is the product for him or this is why he should buy from a certain retailer. Don’t think people aren’t doing much research before purchasing. They are and it applies to all goods and services. I love digital analytics. Something about it makes me really happy but I can’t yet point my finger at the exact “joy factor”. I used to hate dealing with numbers but lately, digital analytics has made me build a new interest in numbers and solving data. 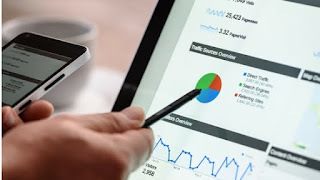 To get your hands on digital analytics and learn how to use it to enhance your sales and marketing strategy, you must first understand its significance and role in your business. So, what role does analytics play? 1. It provides useful data on relevant aspects of your business including customer, sales, performance, etc. There are many advantages of utilising data to your business but that is not the focus of this post. This article addresses how to use analytics to inform relevant decisions for your business after having understood it’s role. This is why the business of freelancing has continued to grow. However, it is not an easy task to find a freelancer that fits all your requirements and, let’s face it, there are numerous ones out there with many claims that are sometimes unverifiable. This is also true for freelance digital marketers. Many people out there would make big claims but it all boils down to how true they are. We love to use hashtags. There’s a fun side to it. Not only do you seem to be current when you use them on social media, it makes you appear to be on trend as well. Why should you use hashtags? How can you use hashtags to grow your brand on social media? What is a hashtag?A hashtag is a type of metadata tag used on social media and other blogging/microblogging sites that allows users to apply unique user generated texts that could be alphanumeric in nature, which makes it possible for them to easily find or identify messages with a specific theme or trending topics and easily follow up on these topics Users create and use hashtags by placing the number sign or hash sign # in front of a string of characters usually a word or unspaced phrase, at the beginning, in or at the end of a message.